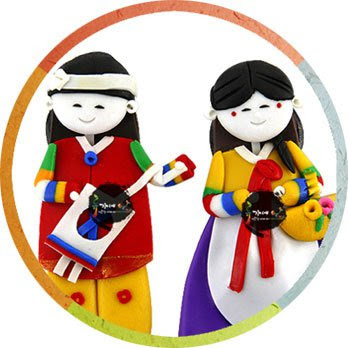 Korean Folk Art Couple Magnetic Memo Holder Type 001 Color-mix PVC products are a modern representation of Korean skill and craftsmanship. The unique designs come from Korean traditional public morals and the style of living. All products are hand made, and will vary slightly from image. You can put them on the refrigerator or anyplace. Material: Color-mix PVC with magnet backing, Size: 2.6 inch, Packing: polybag. $5.00 $4.00. 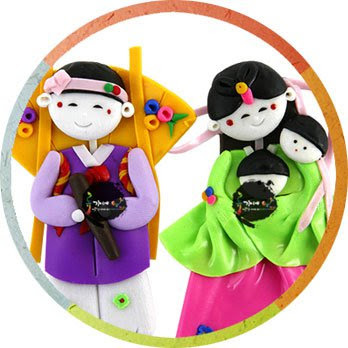 Korean Folk Art Couple Magnetic Memo Holder Type 002 Color-mix PVC products are a modern representation of Korean skill and craftsmanship. The unique designs come from Korean traditional public morals and the style of living. All products are hand made, and will vary slightly from image. You can put them on the refrigerator or anyplace. Material: Color-mix PVC with magnet backing, Size: 2.6 inch, Packing: polybag. $5.00 $4.00. 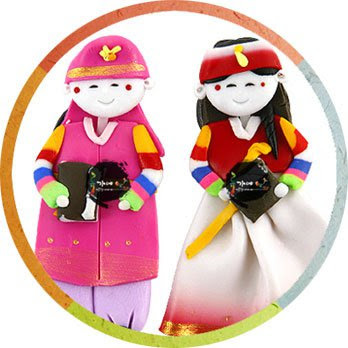 Korean Folk Art Couple Magnetic Memo Holder Type 003 Color-mix PVC products are a modern representation of Korean skill and craftsmanship. The unique designs come from Korean traditional public morals and the style of living. All products are hand made, and will vary slightly from image. You can put them on the refrigerator or anyplace. Material: Color-mix PVC with magnet backing, Size: 2.6 inch, Packing: polybag. $5.00 $4.00. 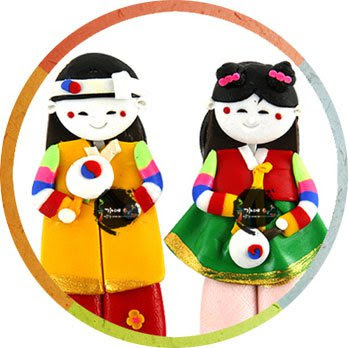 Korean Folk Art Couple Magnetic Memo Holder Type 004 Color-mix PVC products are a modern representation of Korean skill and craftsmanship. The unique designs come from Korean traditional public morals and the style of living. All products are hand made, and will vary slightly from image. You can put them on the refrigerator or anyplace. Material: Color-mix PVC with magnet backing, Size: 2.6 inch, Packing: polybag. $5.00 $4.00. 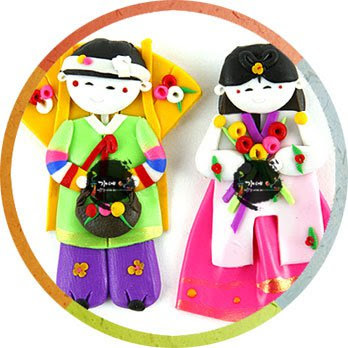 Korean Folk Art Couple Magnetic Memo Holder Type 005 Color-mix PVC products are a modern representation of Korean skill and craftsmanship. The unique designs come from Korean traditional public morals and the style of living. All products are hand made, and will vary slightly from image. You can put them on the refrigerator or anyplace. Material: Color-mix PVC with magnet backing, Size: 2.6 inch, Packing: polybag. $5.00 $4.00. 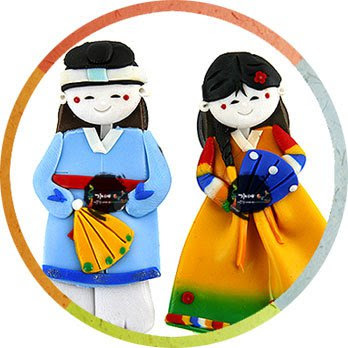 Korean Folk Art Couple Magnetic Memo Holder Type 006 Color-mix PVC products are a modern representation of Korean skill and craftsmanship. The unique designs come from Korean traditional public morals and the style of living. All products are hand made, and will vary slightly from image. You can put them on the refrigerator or anyplace. Material: Color-mix PVC with magnet backing, Size: 2.6 inch, Packing: polybag. $5.00 $4.00. 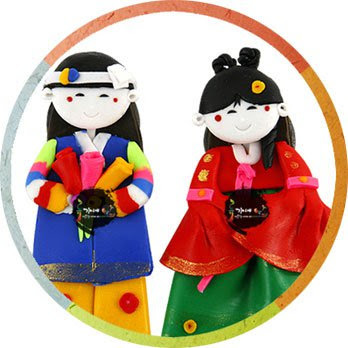 Korean Folk Art Couple Magnetic Memo Holder Type 007 Color-mix PVC products are a modern representation of Korean skill and craftsmanship. The unique designs come from Korean traditional public morals and the style of living. All products are hand made, and will vary slightly from image. You can put them on the refrigerator or anyplace. Material: Color-mix PVC with magnet backing, Size: 2.6 inch, Packing: polybag. $5.00 $4.00. 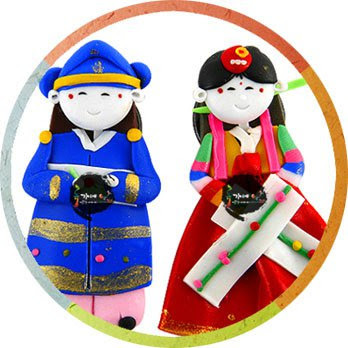 Korean Folk Art Couple Magnetic Memo Holder Type 008 Color-mix PVC products are a modern representation of Korean skill and craftsmanship. The unique designs come from Korean traditional public morals and the style of living. All products are hand made, and will vary slightly from image. You can put them on the refrigerator or anyplace. Material: Color-mix PVC with magnet backing, Size: 2.6 inch, Packing: polybag. $5.00 $4.00. 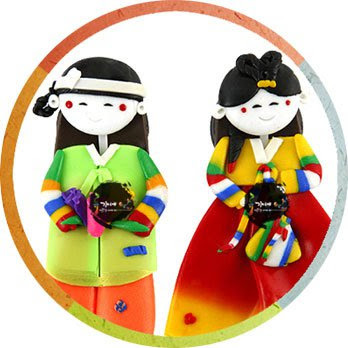 Korean Folk Art Couple Magnetic Memo Holder Type 009 Color-mix PVC products are a modern representation of Korean skill and craftsmanship. The unique designs come from Korean traditional public morals and the style of living. All products are hand made, and will vary slightly from image. You can put them on the refrigerator or anyplace. Material: Color-mix PVC with magnet backing, Size: 2.6 inch, Packing: polybag. $5.00 $4.00. 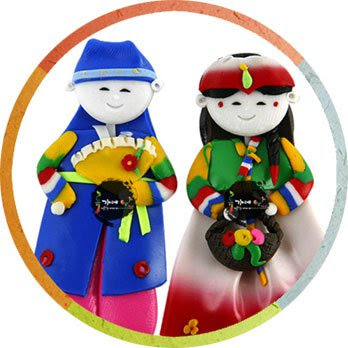 Korean Folk Art Couple Magnetic Memo Holder Type 010 Color-mix PVC products are a modern representation of Korean skill and craftsmanship. The unique designs come from Korean traditional public morals and the style of living. All products are hand made, and will vary slightly from image. You can put them on the refrigerator or anyplace. Material: Color-mix PVC with magnet backing, Size: 2.6 inch, Packing: polybag. $5.00 $4.00. 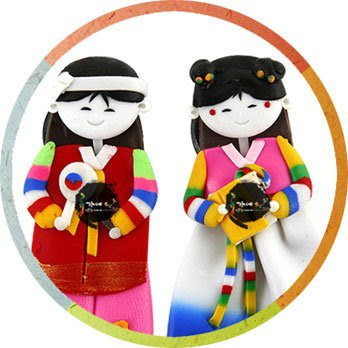 Korean Folk Art Couple Magnetic Memo Holder Type 011 Color-mix PVC products are a modern representation of Korean skill and craftsmanship. The unique designs come from Korean traditional public morals and the style of living. All products are hand made, and will vary slightly from image. You can put them on the refrigerator or anyplace. Material: Color-mix PVC with magnet backing, Size: 2.6 inch, Packing: polybag. $5.00 $4.00.